Here is a book of patterns for all the Major League Baseball fans. 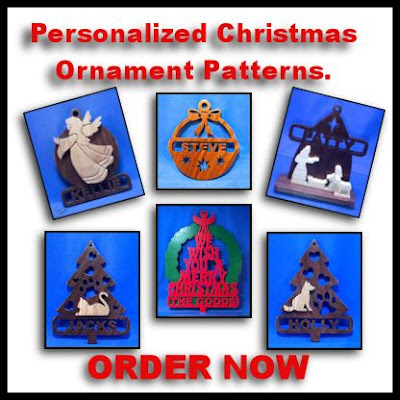 The patterns are 10 inches wide and a little over 6 inches tall. 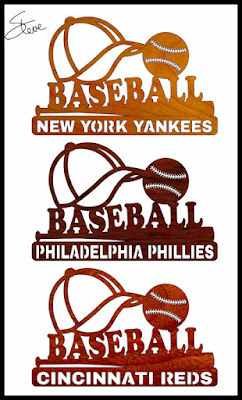 Every major league team is included. I am still continuing to receive email about the Peel and Stick product I reviewed a couple weeks ago. This is the clear laminate that we can use as a cheaper substitute to the blue painters tape. A lot of you have gone to Walmart and picked up a roll to test for yourself. All the emails are positive about the product. A few people told me they were definitely switching to this over the painters tape or clear box tape. Some were trying tape for the first time and were surprised just how much difference it makes especially when cutting thicker wood. I did get a couple email saying that they thought tape under the pattern was a waste of time. I am one that says, do what works for you. If you have a process that works, that's all that matters. I also say try new things occasionally and you will sometimes be happy that you did. A few readers said they had to try a couple different Walmart locations to find the product. I ordered online and had it shipped to my store. 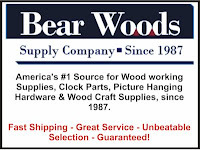 That works pretty good if you have a difficult time locating the product. 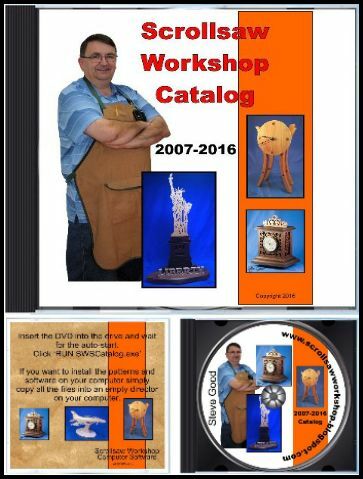 Don't miss your chance to win six dozen of the best scroll saw blades made. 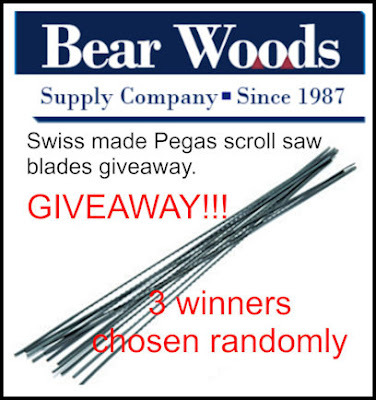 Each of 3 winners will receive six dozen Pegas scroll saw blades for Bear Woods. You can enter every day. Giveaway ends the last day of the month. 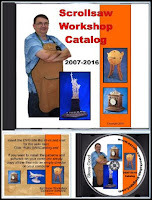 Get your entries in daily for your best chance to win. I'm running about 3 days to get the orders out. Keep them coming and I'll keep them shipping. 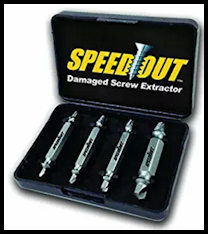 Every shop needs a set of these damaged screw extractors. They have saves me more than once.